The 2018 Acura RDX interior provides a spacious, comfortable driving experience while cruising around snowy Provo. Heated front seats and climate control comes standard. Learn more below. Enjoy premium comfort, no matter the temperature in Orem, thanks to GPS-Linked Climate Control. Take a Look at the New Acura RDX Near Salt Lake City Today! The Acura RDX beats the luxury SUV competition of the Lexus RX in areas like performance and utility , and is well regarded by beloved automotive resource Kelley Blue Book . 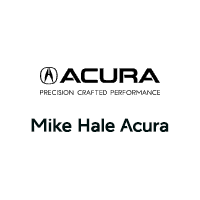 Take a closer look at this Acura SUV today near Draper at Mike Hale Acura. Contact us today with questions!